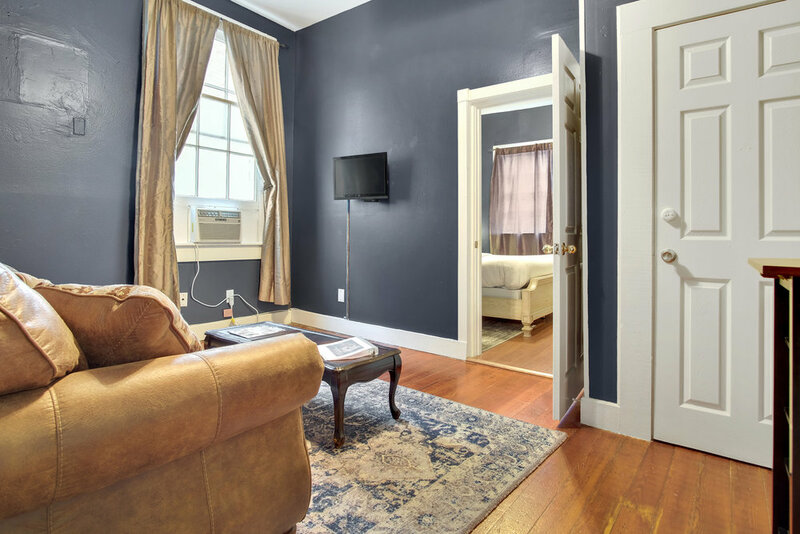 Enjoy the comfort of a hotel while living like a local in our one bedroom apartment. 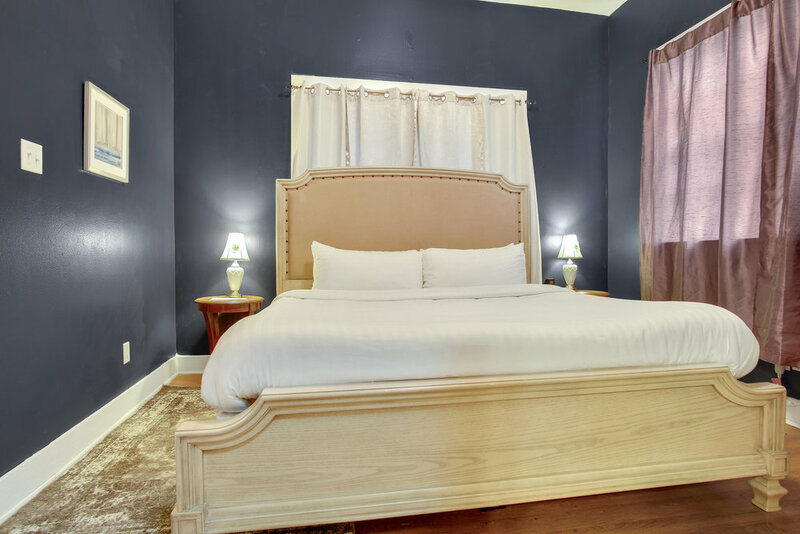 The king bedroom apartment boasts a walk-in tiled shower with toiletries by Beekman 1802, separate living room with queen memory foam mattress pull out couch and a full kitchen. 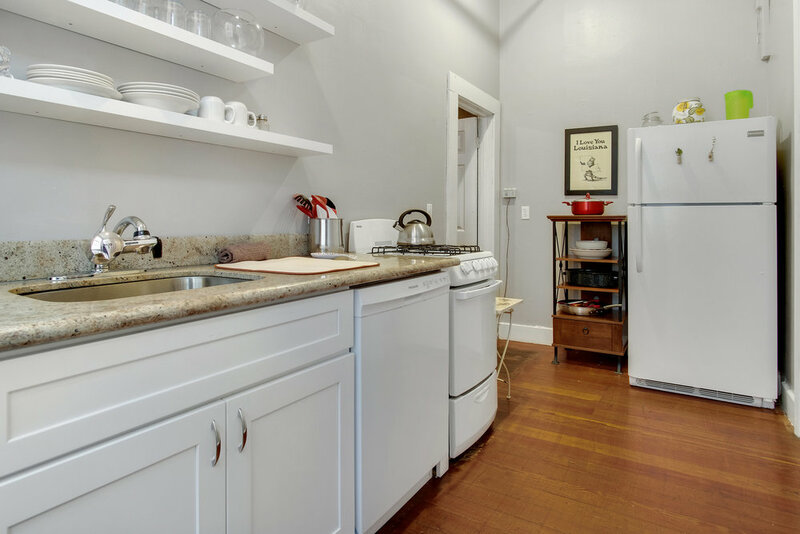 Memory foam mattresses and a fully equipped kitchen with a full sized refrigerator, microwave, coffee maker, hair dryer, iron and ironing board all make your stay more comfortable. Continental breakfast and high speed wireless internet are included along with access to the pool and hot tub. The apartment is located on the ground floor.